The Mozambican government is in the process of launching four science parks around the country, with a view to bringing science and technology to the people. These, it hopes, will encourage scientists to find solutions to the country’s social, health and infrastructural problems, which have been exacerbated by nearly three decades of civil war. Mozambican Science and Technology Minister Venancio Massingue plans to use the discipline of science to uplift and restore the country. He wants scientists to engage with citizens as part of their efforts to resolve issues relating to health, agriculture, and access to water. Massingue announced the initiative in October 2008. The minister lamented the fact that it is often easier for Mozambican scientists to get funding for a conference in America than a transport allowance to travel inside the country to conduct research. He added that it is crucial that scientists spend enough time in the field, interacting with people and becoming familiar with local challenges. The Ministry of Science and Technology intends the science parks to be hubs of forward thinking and innovation where science and industry come together to find appropriate and workable solutions to the country’s problems. Here, relevant topics such as agricultural technologies, energy, telecommunications, biotechnology and building materials will be researched. The International Association of Science Parks regards these facilities as the perfect environment for businesses and institutions of the global knowledge economy. They promote regional economies and enhance the competitiveness of their host cities by creating new business opportunities, fostering entrepreneurship, generating knowledge-based employment, and encouraging a greater synergy between universities and companies. It may seem paradoxical but science is widely regarded as the crux of answers to widespread African problems such as poverty, drought and famine. Slovenian economics Prof Janez Potocnik and Beninese mathematician Jean-Pierre Ezin, the commissioners for science and research in the European and African Unions respectively, agree. In an article they wrote for Rwandan daily The New Times the two academics say that innovative technologies can improve water quality, and satellite imagery can help in the planning of sustainable farming and forestry, and ensure food and water security. According to Mozambique’s Science and Technology Director António Leão, the parks will be located near the capital city of Maputo in southern Mozambique, in Moamba also in Maputo province, and in the Zambezia and Nampula provinces further north. These areas were selected because of their available infrastructure, such as water and electricity, and access to a main road, port and airport. “The first science park with an area of 950ha will be located in Manhiça, a small town 98km from Maputo,” said Leão, adding that it will focus on information communication technology in its initial stages. There is an existing malaria research programme based at the Health Research Centre in Manhiça that is funded by the Bill & Melinda Gates Foundation, the fourth largest private foundation in the world. The Mozambican government now plans to further expand the facility into a fully-fledged science and technology hub to encourage companies to bring their research programmes into the area. Mozambique is partnering with the government of India on the first stage of the project, which will run for the next decade, and has earmarked $25-million for infrastructure development in Manhiça. The other three parks will be developed by the private sector. By taking this bold step Mozambique will become one of just a few African countries, among them Egypt and South Africa, to implement such a development programme. 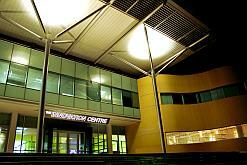 South Africa’s Innovation Hub, located in Pretoria, is the only science park in Africa which has earned full international accreditation. It houses 52 tenants across 600 000 square meters, and the main thrust of its activities are in the fields of biotechnology, electronics and microelectronics, forestry, information and communication technology and telecommunications, media and multimedia, robotics, packaging, and materials. Mozambique has just played host to the 29th General Assembly of the International Council for Science, which took place in Maputo in October 2008. It was the first time a scientific event of this scale was held in sub-Saharan Africa and was regarded as something of a coup for Massingue. The event was hosted by the Scientific Research Association of Mozambique, under the auspices of the Government of Mozambique and in co-operation with the regional African office of the International Council for Science. More than 250 leading scientists from around the world gathered to address the ways in which science can contribute to solving some of society’s most pressing challenges including hazards and disasters, human health, and ecosystem change.